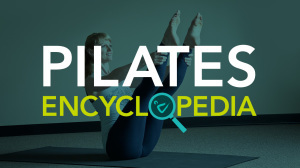 ATHLETES: Athletes wanting to improve their performance levels will get a lot out of Pilates. The exercises strengthen core muscles and improve alignment and balance, vital in any sport. INJURED: If you have an injury from your sport or an accident, Pilates offers a great way to exercise without risking further damage. It is low impact and adaptable to specific areas of the body. NEW MOMS: Just had a baby? Well congratulations, and you’ll be happy to know that Pilates can help you lose that baby weight and strengthen your body for the trials of motherhood. A supportive Pilates class also gives you the chance to leave junior with dad and get away and de-stress a couple of times a week. SENIORS: Pilates is a great form of exercise for more senior people as it addresses issues the many changes that happen to your body as you ages. Our exercises can improve posture, joint stability and mobility as well as help you with improve bodily awareness so that you can continue to carry out your everyday tasks and enjoy all the activities you’ve come to love.